The Texas Toot is a Texas-based non-profit devoted to early music education and performance, presenting two workshops each year. 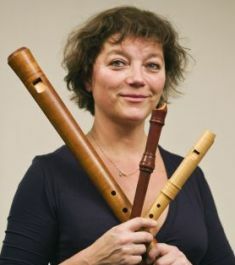 The Fall Texas Toot is a short weekend workshop with instruction in recorders, viols, early reeds, harp, lute, voice, and more. 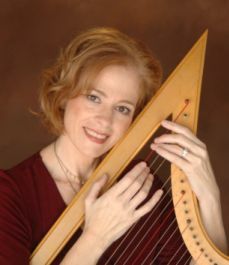 The Summer Texas Toot offers a one-week program of classes at all levels, focusing on Renaissance and Baroque music, but with offerings for Medieval and 21st century enthusiasts as well. Expert instructors in recorder, viol, early reeds, lute, harp, and voice will tend to young professionals, seasoned amateurs, and eager beginners with equal care. The Toot also sponsors or supports other events, including the Renaissance Polyphony Weekend. Please join us for the 2019 Summer Texas Toot ... "more than recorders"! The beautiful campus of Concordia University will once again be our home. And as always, we'll have outstanding faculty members teaching viol, reeds, lute, harp, and other instruments, as well as voice and ensembles. More information on the 2019 Summer Toot is at your fingertips! just click on the Summer Toot link on the left. for the 2019 Summer Toot is now open! fill it out, and mail it to us with your deposit check. See the schedule of classes being offered at this Fall's Toot. to attend the Toot, tell us what class you want each period! Please make plans now to join us for the 2018 Fall Toot. For over forty years, we've been holding workshops and providing early music fun and learning for amateurs and aficionados alike! The Toot will be held once again at Lakeview Methodist Conference Center near Palestine, Texas. As always, it's the weekend before Thanksgiving — Nov 16 - 18, 2018. Our popular Bring-a-Friend tuition discount — invite a first-time participant to come to the Fall Toot, and get a 20% discount on your tuition! Or bring back a former Tooter who's been gone 5 or more years, and get a 10% tuition discount. Share the fun, and save! There will be an Early Bird discount on tuition, too, if you register by October 18, so be sure to get your registration and deposit in as soon as possible. Full faculty bios, as well as pricing information and other details, can be seen by clicking on the Fall Toot link on the left. Come to the Toot for a great, affordable early music workshop experience! 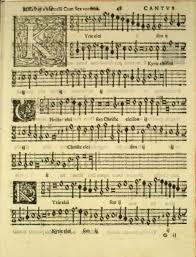 Music to be prepared: Francisco Guerrero's Missa de Beata Virgine II, along with related motets and Gregorian chant. For more complete details about this year's workshop, see the brochure — or click on the Polyphony Weekend link in the left-hand menu. Workshop leader: Dr. William P. Mahrt, of Stanford University (California). Here are two easy ways to support the Texas Toot, any time of year! (1) If you are an Amazon or Amazon Prime shopper: click here to sign up for Amazon Smile. Then, just start your shopping from https://smile.amazon.com/, and the Toot will benefit from almost everything you buy — at no extra cost to you! (2) Donate to the Texas Toot quickly and easily through PayPal. You need not have a PayPal account; they will securely process a payment from your own credit card. Press the Donate button below to go to the Paypal site; enter your payment information and the amount to give once you are on their secure site (look for a Lock symbol, or the URL starting "https" to see that it is secured). The Texas Toot is a 501(c)(3) non-profit corporation, organized "to promote the preservation and performance of early music by amateur musicians with voice and reproductions of period instruments". Donations to the Texas Toot are tax-deductible to the extent allowed by law, and you will receive a receipt for tax purposes.